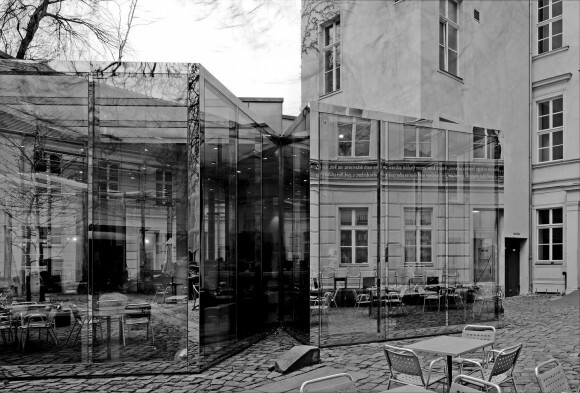 The CAFÉ BRAVO was designed by Dan Graham and realized with the Architect Johanne Nalbach, and opened in September 1999. The steel structure of the two mutually twisted cubes is layered with mirror polished stainless steel panels. The side surfaces are made of one-way mirror glass, and the ceiling of translucent and opaque glass. The whole body appears at times as transparent, and at others as a mirror.